Coconut oil has become a popular "super food" among health conscious individuals, claiming to heal just about every affliction known to man. Those who profit from this highly-refined product claim that consuming coconut oil lowers bad LDL cholesterol while at the same time raises good HDL cholesterol. Sound too good to be true? Dustin Rudolph PharmD, The Plant-Based Pharmacist and author of The Empty Medicine Cabinet, examines the evidence in his article Coconut Oil Increases Cardiovascular Disease Risk and Possible Death Due to Heart Attacks and Stroke. Rudolph writes, "The best way to evaluate any claim for any health product is to find peer-reviewed controlled interventional studies testing the use of that product on morbidity and mortality (i.e. disability and death) rates for the disease in question. Unfortunately, for coconut oil, there are no such studies as of this date. Without this data we're left with testimonial stories of one miracle after another happening from those making coconut oil a popularized 'health' product." Rudolph continues saying, "However, there are peer-reviewed controlled interventional studies on the addition of coconut oil supplementation to one's diet and the resultant effect on a person's blood markers associated with cardiovascular disease risk. These data indicate a potential increase in risk for heart disease. While this data is helpful, it still falls short of proving a direct cause/effect relationship between coconut oil and heart attacks/strokes/death rates. It does, however, provide us with a red flag as to the potential of these events occuring if one were to regularly consume coconut oil." Rudolph highlights four studies which reported that the test subjects in the study "experienced worsening total and LDL cholesterol levels" and a "clear link between oil consumption (specifically coconut and palm oils) and higher rates of dying from heart attacks." Cholesterol levels did drop significantly however "when individuals reduced the amount of total and saturated fat in their diet and removed a good amount of coconut fat from their diet." Considering these facts, Rudolph summaries, "Unfortunately, there is no legitimate scientific evidence, in the form of peer-reviewed controlled interventional studies, to back up the health claims of consuming coconut oil. By supplementing one's diet with coconut oil, it only increases blood markers (lipid levels) that have been associated with higher rates of cardiovascular disease. You're more likely to experience a heart attack or stroke by doing so, not less. It's always better safe than sorry. Until definitive proof in the form of peer-reviewed controlled interventional studies comes forth supporting the health claims of coconut oil, it's best to steer clear of this potentially harmful substance." Jeff Novick does a wonderful job in explaining the history behind marketing coconut oil as a "health food" in this disussion entitled: The Real Coconut Oil Miracle. (2) Is Coconut Oil Bad for You? (3) Does Coconut Oil Clog Arteries? When coconut oil is hydrogenated (as it often is) it becomes a trans fat, and trans fats have been closely associated with heart disease. 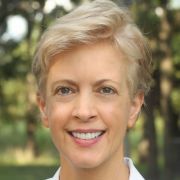 Natalie Digate Muth, M.D. says that lauric acid, the primary saturated fat in coconut oil, increases beneficial HDL cholesterol. Dr. Esselstyn says in his book "Prevent and Reverse Heart Disease" (pp. 120-121): "If you have heart disease--or if you never want to develop it--it is critical to grasp these absolute rules: ... 11. Do not eat coconut." I cannot comment further on Dr. Muth's or Dr. Esselstyn's claims, nor can I cite their sources. Well said Deborah! Those concentrated calories certainly hit the pleasure center fast, making us 'Eat and Cry for More'. What is the rest of the story about the physician who healed het husband of alzheimers with coconut oil. I have been waiting for a good follow up. Your information is very useful to us about coconut oil has lower cholesterol.. Its very useful thing.. Because I also want to know about that does coconut oil has lower cholesterol? Your information is very helpful to me. Thanks for your posting..